You can't deny you'll love these shirts! 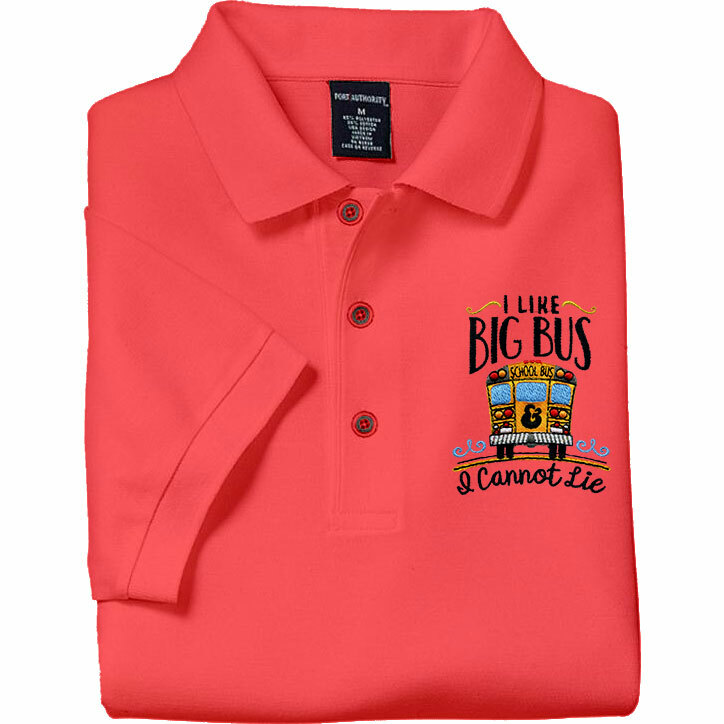 "I Like Big Bus & I Cannot Lie" embroidered on polo shirts or zip hoodies. Personalized on the right chest in black thread.